How might we think of Dostoevsky as a radical writer? In his later years he certainly seemed anything but. From his searing critique of nihilist ideas in Notes from Underground and Crime and Punishment, and his scathing portrayal of revolutionaries in Demons, to his increasingly virulent Orthodox nationalism and support for the authoritarian Tsarist regime expressed in his Diary of a Writer, his reactionary views appear to be in no doubt. Yet he understood the depths of human misery and the need for utopian visions and the transformation of society. He always maintained an interest in social justice that seems contrary to his political position, and his death was mourned by thousands of radical students. In his youth he did move in revolutionary circles, and much later acknowledged that even if he might not have found been a leader of such a movement, he was, and remained, capable of being a follower. His novels – typically of their focus on the extremes of human behaviour – show that fanatical atheism and fervent religious faith are two sides of the same coin, something he saw as a particularly Russian trait. Was this then just a reflection of the tensions in his own character and the ideological transition he experienced, or perhaps sought, within himself? As a writer Dostoevsky was anything but traditional. His consistent questioning of reality and of the meaning – and possibility – of realism led him to experiment with novelistic form and made him a major precursor of modernism. He was an important influence on Russian Symbolism, German Expressionism and French Existentialism. Prototypes for many of the narrative innovations in James Joyce’s Ulysses can be found in Dostoevsky’s early novella The Double. Yet he is beyond any particular ‘ism’ himself. His polyphonic technique, identified in the theorist Mikhail Bakhtin’s seminal study The Problems of Dostoevsky’s Poetics, pits voices, characters and ideas against each other. The religious faith the author himself espoused features among those voices, but is frequently challenged and seldom dominates. This multiplicity of contradictory voices is responsible for the proliferation of different interpretations of Dostoevsky over the last century and a half, and continues to give rise to new interpretations across various disciplines – from the humanities to the sciences – to this day. These questions about Dostoevsky’s novelistic experimentation, the innovative readings he provokes from so many different perspectives, and their relation to the place of the author on the reactionary/radical divide, are at the heart of the conference Revolutionary Dostoevsky: Rethinking Radicalism taking place at UCL-SSEES on 20-21 October 2017. We will see how Dostoevsky reflects the political, social, ethical and religious dilemmas of every age. His own critique of terrorism placed him firmly within the political discourse of his milieu and acted as inspiration for subsequent generations of revolutionaries and their philosophical opponents. Moving to the present day, Dostoevsky continues to illuminate the political, social and philosophical realms, but perhaps more surprisingly, we will discover his role in negotiating the digitally mediated world and the problems of artificial intelligence. Seeing the world through Dostoevsky’s eyes and novels always offers radical solutions. It was perhaps inevitable in a new age of upheaval and populism, amidst Trumpism and Brexit, as well as the centenary of the 1917 revolutions, that Demons would prove central to a number of contributions. Speakers will consider, among other things, the role of provocateurs, connections between mental illness and politics, the spectre of mortality and possibility of spiritual revolution. The form and genre of this uniquely weird novel also come into focus, both as an experimental technique for shaping its opposition to political radicalism, and as a mode of narrating the unstable society and self. That sense of instability – evident from Dostoevsky’s earliest works – underlies new approaches to problems of modern (and postmodern) subjectivity. Questions up for discussion include human vulnerability, radical conceptions of guilt, and the roots of revolt in shame and boredom, and different readings of motifs of death, resurrection, and dying again. Instability is also fundamental to innovative interpretations of Dostoevsky’s narrative strategy. 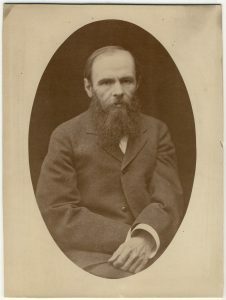 A queer theological reading of Prince Myshkin will shed new light on the ways in which past, present and future might be different in Dostoevsky’s novels, while attention to aborted plot lines and the presence (or rather, absence) of babies provides the key to some of the other extremes of Dostoevsky’s novelistic world. Such radical narrative features and the subjectivities they shape ultimately subvert any conception of reality as stable in Dostoevsky’s works. Speakers from the UK, USA and Russia, from those starting out on their research careers to some of the most senior and respected scholars in the field, will debate these topics and others over a day and a half that promises to be thought-provoking and controversial, even, in true Dostoevskian mode, scandalous. Certainly Carol Apollonio’s keynote address, ‘Dostoevsky the Bolshevik’, promises to start proceedings on a provocative note. For information about that, and more details of the conference programme and registration, click here. 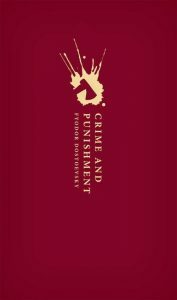 The conference will also feature a reception and roundtable to mark the publication of a new translation of Crime and Punishment, published by Oxford University Press. The hashtag for the conference will be #Dostoevsky2017. Revolutionary Dostoevsky: Rethinking Radicalism is supported by the SSEES FRINGE Centre, UCL’s Institute for Advanced Studies, the UCL Global Engagement Fund, and Oxford University Press. Interesting – Dostoevsky is an author who can be endlessly reinterpreted. And it always seems to me that no matter where his politics and religion was, his basic sympathies lay with the suffering masses. Thanks! I think that’s very true, though in his later life his solutions were very different from those of the revolutionary movement. But that is one of the things that makes him so interesting. Thank you so much for this amazing blog! A quick question. Is it possible to establish where Dostoevsky stayed in London?